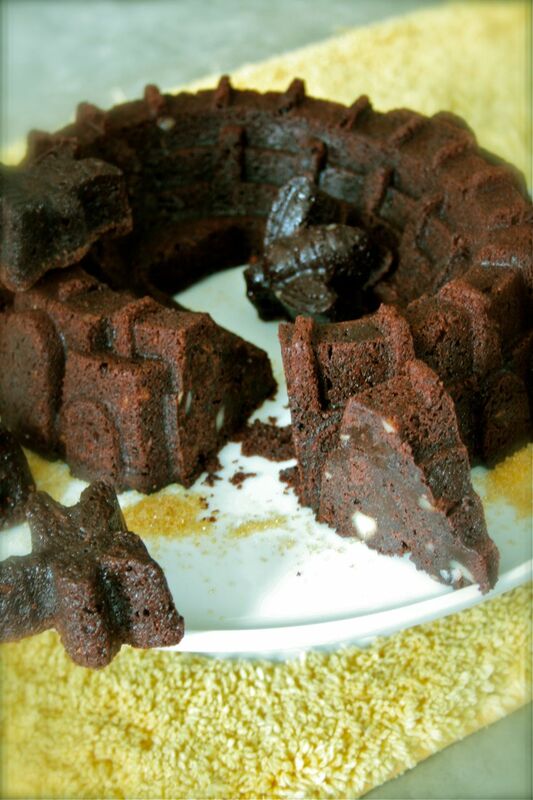 at last, hector’s take on ROSE’S heavenly CAKES: Double Chocolate Whammy Groom’s Cake (page 419). 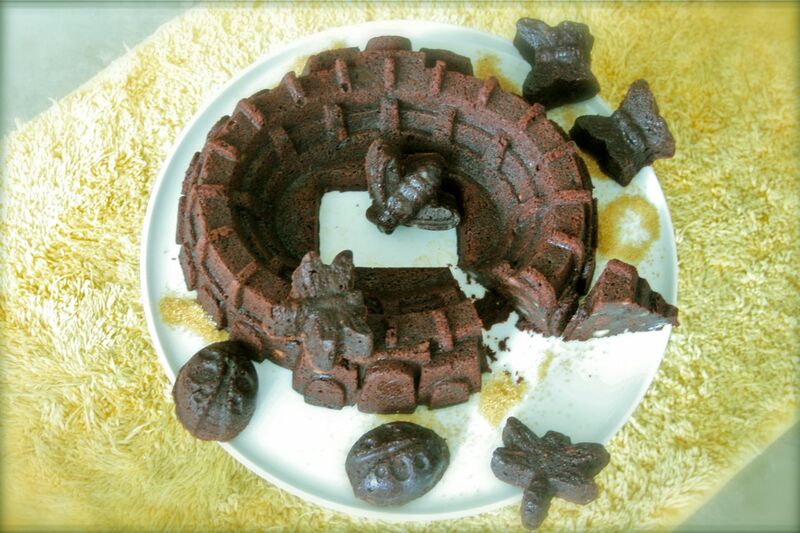 bake extra brownies shaped like bugs, and place around the nordic ware sports arena cake pan like giants football players? thx, and it was a delicious, moist, dense chocolate butter cake. i noticed that near 50% or more of the batter volume is actually brownie pieces, quiet a bit. don’t be afraid to pack them down when filling the pan. my brownie chunks were about 1/2 to 3/4 inch cubes, a bit on the big size. my sport arena pan is only 9 cups instead of 10 for the stadium pan. it raised about 1/4 inch over the top, but without overflowing. 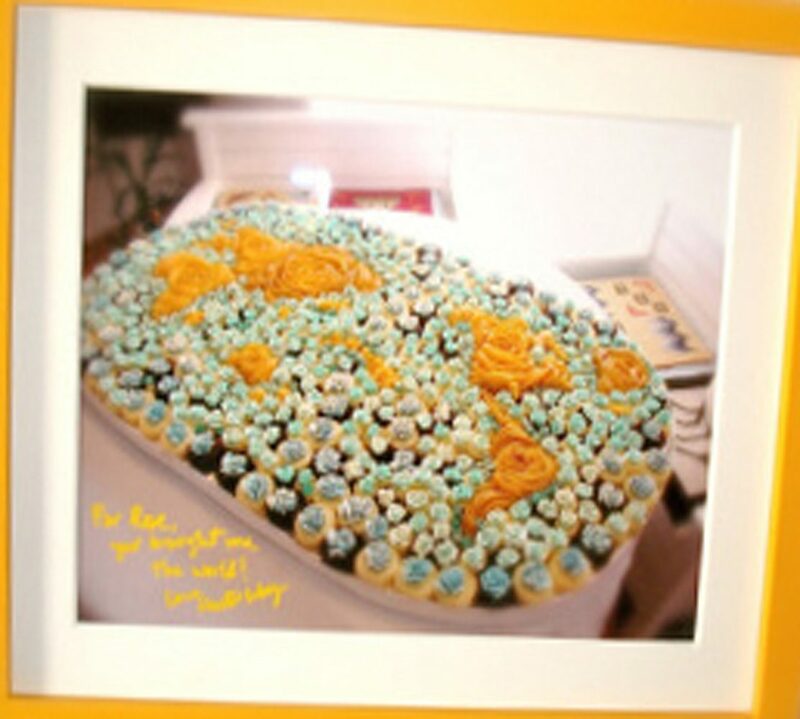 a very special cake, with very fun texture.